All Magnolia Theatre students are required to see one showing of each Magnolia Theatre Production as part of class curriculum. There is one show per 9 week grading period. 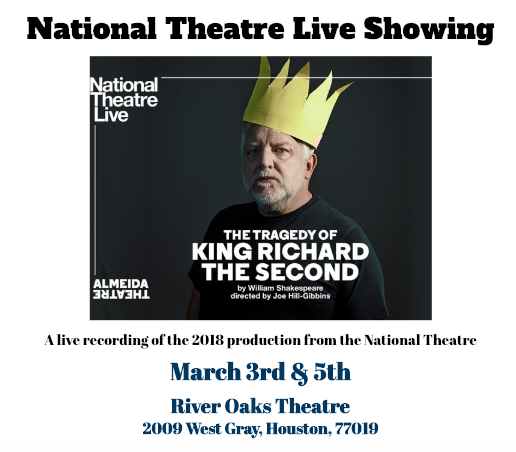 If a student has an excused reason to miss a Magnolia Theatre Production they must make up the grade by seeing an approved live production elsewhere. Students should attach their ticket and/or program to their review as proof they attended the production. The students review, ticket, and program are due the Monday after they see the show. We also highly recommend seeing other theatre companies productions as it is a great way to continue to learn and appreciate the world of theatre. February - April is Texas UIL One Act Play Season! High School Competition One Act Plays are approved!